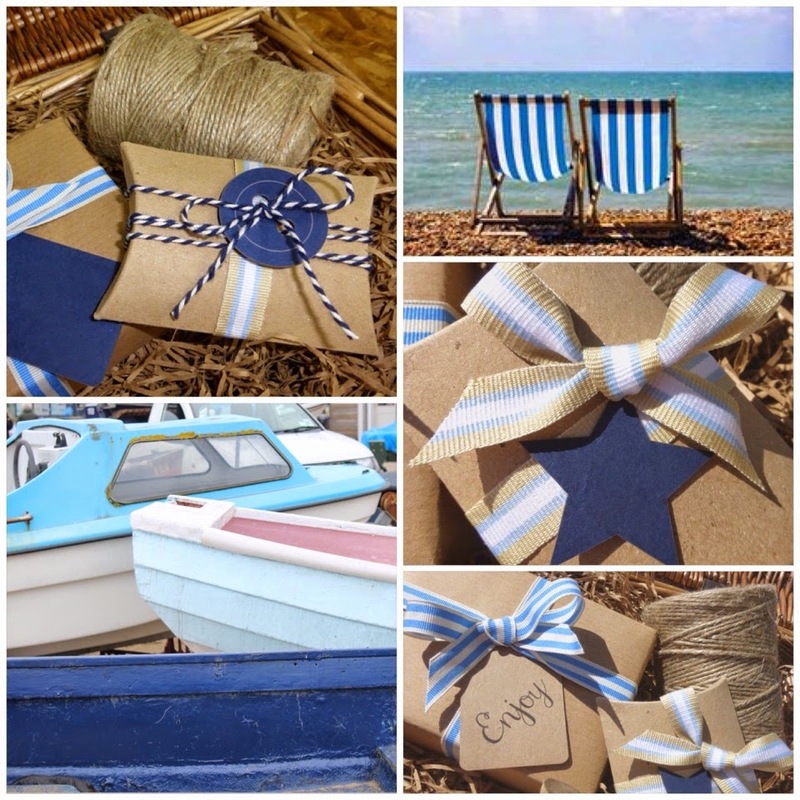 I recently raided my lovely box of Jane Means ribbons, and was instantly inspired by the thought of lazy hazy days by the sea, warm sunshine, sandcastles, walks along the dunes and ice-creams; hence our latest blog being very seaside inspired! Keeping our theme natural (of course!) we used our brown kraft pillow boxes, and brown kraft matchboxes for our summer inspired gift theme. Jane Mean's blue and cream stripe grosgrain ribbon, and the Royal Blue and white grosgrain ribbon matches our natural stationery and accessories perfectly. Simply wrap your gift in plain brown kraft wrapping paper, add a length of ribbon and tie a bow to the front. Complete with one of our navy or printed brown kraft tags and you're done. We think they make perfect gift for male or females!